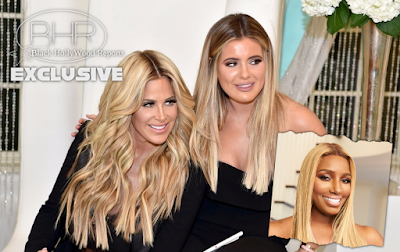 BHR Hollywood Reports......Nene Leakes and Kim Zolciak-Biermann are beefing once again, this time over a video Kim's daughter Brielle shared on social media. In a video shared to Snapchat, Brielle poses for a selfie in Nene's bathroom, squatting on the floor because "this bathroom has no mirror besides the sink." Next to Brielle is what looks to be a black bug. Kim's daughter then posted another video in which a large black bug, which looks like an ant, crawls across the floor as Brielle looks on in disgust. 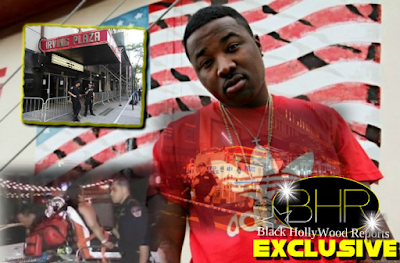 Leakes shared the video on Instagram, firing back at the 20-year-old, "We don't have roaches! If you found 1, u brought it with u or it fell outta yo funky p---y!" Nene also alluded to the video on Wednesday, captioning one Instagram post, "On the way back to the A, I fell asleep thinking about how imma live in my ROACH infested brand new home." Kim has fired back alleging Brielle was "unaware of the large bug in front of her when she was kneeling down .. until her DM's blew up!"